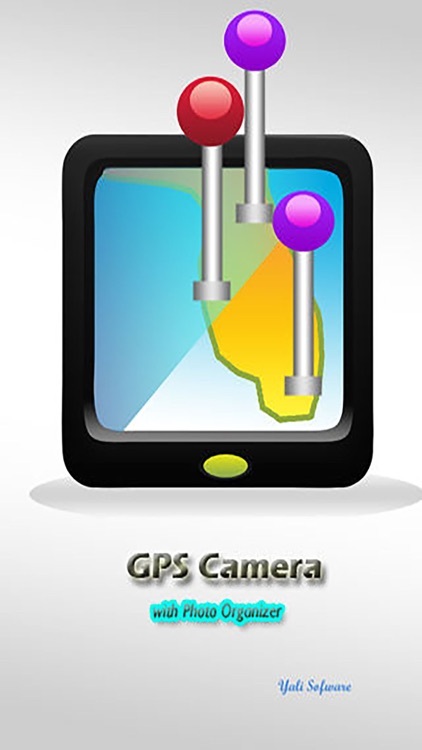 This application is a camera that can attach GPS location to the photo. It also records date and time taken, location, your notes about it and the title of the picture. 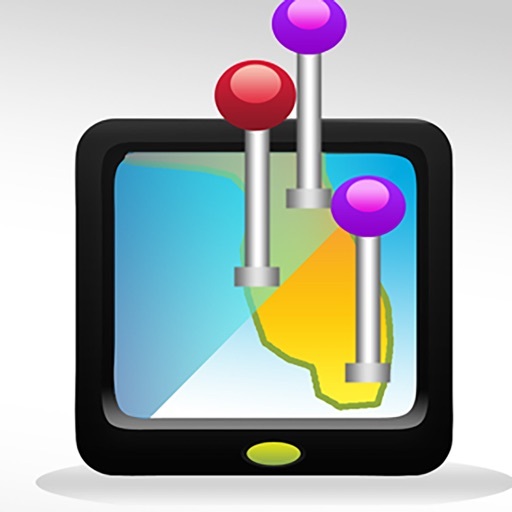 You can review the pciture with a quick link to a map marking its location. You can send email with all these information from within the application. 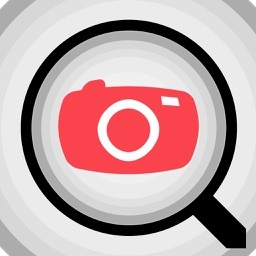 This application is more than a GPS Camera, it is your photo organizer. You can group your pictures and lay them out in a tree structured manner so you can find them easily when you need them. 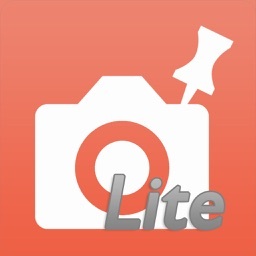 There are unlimited number of folders and subfolders you can create with a descriptive name to hold your photos. 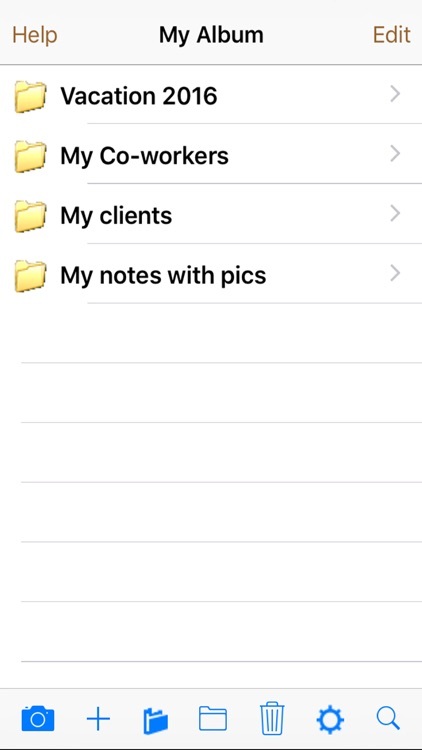 You are free to move them one by one or in group from folder to folder, from parent folder to grandchildren, from and to iPhone's camera roll very easily. 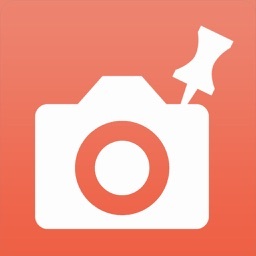 This application gives you the ability to organize your photos the way you want. 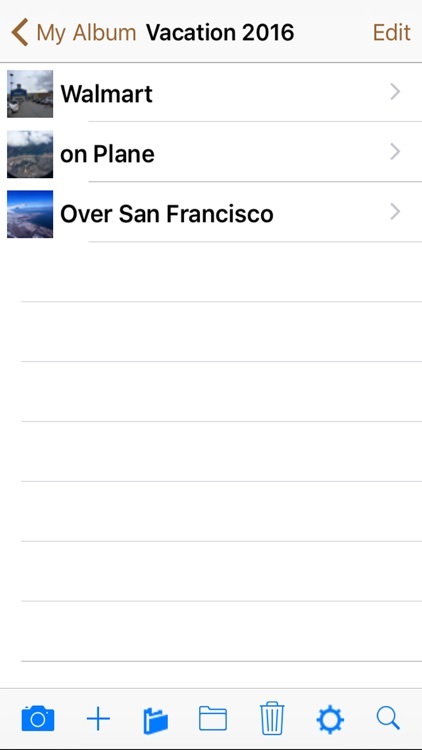 So stop using camera roll that hold all your photos in one place disorganized. 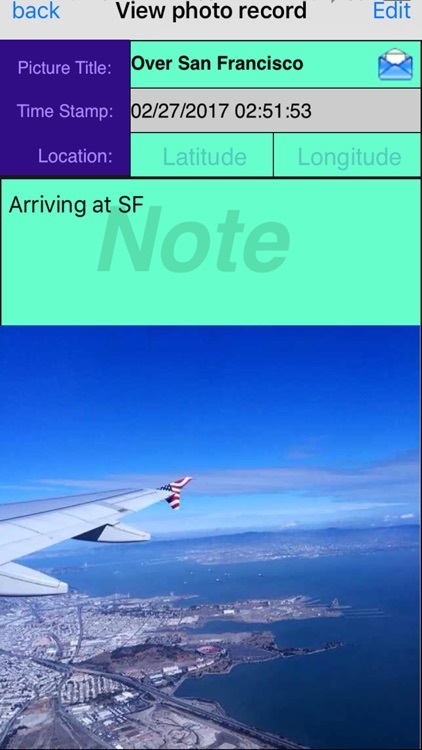 all these infomation in one screen with an arrow button leading to a google map with a dropping pin marking where your photo was taken along with all the other pins representing pictures in the same photo folder just with different color. Taping on the pin brings out picture title so that you can tell which is which. And another envelope button which takes you to an email sending screen with all the fields automatically populated, photo attached and a send button for you to press. With all these great features, it is a must-have application when you go out for sight-seeing vacation. You take pictures here and there, name each one with a short note. 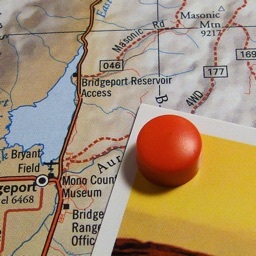 You can review them later to reenjoy your vacation with a map marking all the spots you have been to. you can send them with just a touch of a button. Everything is automatically populated. With all these powerful features, it is a must-have if you like to write diary to record your life with a picture. and where you were each day. With all these lovely features, it is a must-have if you like shopping, keeping track where you have purchased everything. Take a photo before you take them from shelf. organized them by category. Next time you want to get these, find their pictures. you immediately know where the location is and the price if the picuture shows a price tag. 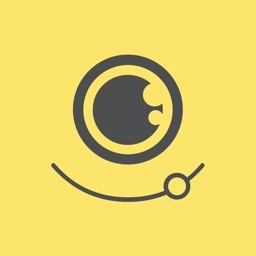 With all these cool features, it is a must-have if you like share with your loved ones where you are, what you see, how do you feel frequently by sending them emails that are already writen for you with a picture attached. With all these outstanding features, it is a must-have if you are a creative person. it can be used for anything you can think of.